Guests enjoy the Habitat for Humanity of La Plata County Wine Tasting at the DoubleTree Hotel on Nov. 4. Guests enjoy the chocolate fountain at the Habitat for Humanity of La Plata County Wine Tasting at the DoubleTree Hotel on Nov. 4. The Lisa Blue Trio entertains guests at the Habitat for Humanity of La Plata County Wine Tasting at the DoubleTree Hotel on Nov. 4. Guests check out the building-related toys in the silent auction at the Habitat for Humanity of La Plata County Wine Tasting at the DoubleTree Hotel on Nov. 4. The number of fundraisers held in this town has proliferated so much in the 16-plus years I’ve written Neighbors, I sometimes feel as though I can’t keep track of them all, much less write about them. But the Habitat for Humanity of La Plata County Wine Tasting, which has taken place on the first Friday in November for as long as I have been writing the column, is a big fall tradition. In its 18th outing and taking place at the DoubleTree Hotel, the tasting was attended by about 185 people. Susan Givens, of Coldwell Banker Heritage House, created a beautiful holiday setting, Jeannie Bennet, of La Plata Electric Association, continued her stalwart support of Habitat by collecting donations of gourmet food trays from area purveyors and the Lisa Blue Trio once again provided a musical backdrop for the event. Lesley Ponce, of the newly rechristened and reimagined The Wine Shop, provided the wine and the expertise, and Animas Chocolate Co. paired handmade chocolates with wine for a special pre-party event with the event’s sponsors. 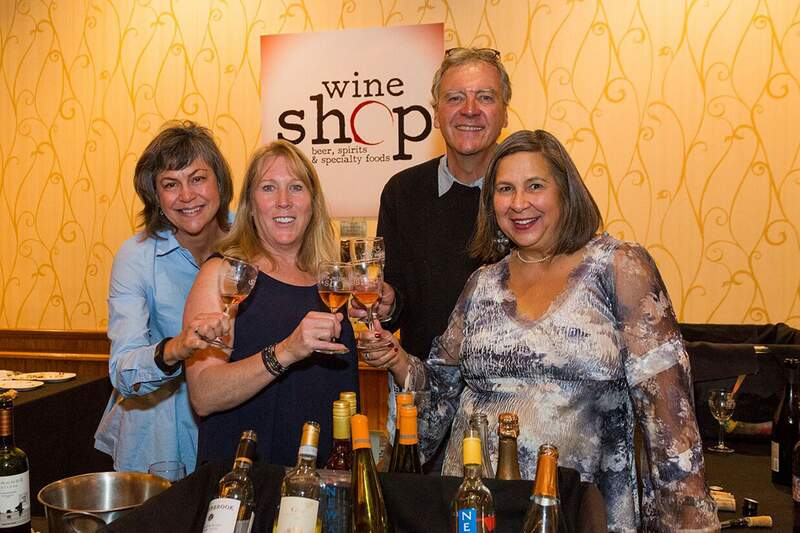 In addition to The Wine Shop, DoubleTree and LPEA, those sponsors included First National Bank of Durango, TL Roofing, Richard Ballantine and Four Corners OB/GYN. Rachel Taylor-Saughie, executive director of Habitat, said this year’s families, those of Heather Mobley and Aliona Grinnan, will be under their new roofs for the holidays. A common misconception about Habitat is that people are getting “free” houses. Homeowners who qualify for a Habitat home invest hundreds of hours in sweat equity as a down payment, then pay a mortgage like every other homeowner for modest, decent homes. The difference is that they are among the more than 50 percent of La Plata County residents whose income makes them eligible for a Habitat home. Taylor-Saughie tells me that while affordable housing has been discussed as a major issue locally, statewide and nationally, there have been no additional resources at any level to address the problem. At the same time, larger donors and foundations in our community have reduced support, so the economic stresses of building two homes a year are being felt. When people tell me why they chose to live in Durango, they say it’s because it feels like a real community. In real communities, law enforcement, nurses, teachers, and yes, journalists, live where they work, so they’re part of the fabric of the community they serve. That’s becoming an increasingly difficult proposition for our workforce, and anyone who values the “real” community should see Habitat as an important player in this arena. To learn more about how you can support Habitat for Humanity of La Plata County’s work, visit www.habitatlaplata.org, shop or donate at the Habitat ReStore, 120 Girard St., Suite E, in Bodo Park, or call 382-2215. The organization is seeking board members who have fundraising, accounting or faith relations to work toward an increase in capacity building, as well as volunteers to work in the ReStore or work on a build. HHHCheck back at durangoherald.com for more Neighbors stories and photos. Neighbors runs in the Sunday print edition of The Durango Herald.Here’s how to reach me: neighbors@durangoherald.com; phone 375-4584; mail items to the Herald; or drop them off at the front desk. Please include contact names and phone numbers for all items. Follow me on Twitter @Ann_Neighbors.I am happy to consider photos for Neighbors, but they must be high-quality, high-resolution photos (at least 1 MB of memory) and include no more than three to five people. I need to know who’s who, left to right, and who to credit with the photo. Candid photos are better than posed, and photos should be submitted as JPG or TIF attachments. Enjoying a successful Habitat for Humanity of La Plata County Wine Tasting on Nov. 4 are, from left, front row, Karen Barger, owner of Seasons Rotisserie and Grill, who is the new specialty foods consultant for The Wine Shop, Lesley Ponce, owner of the shop, and, back row, shop employees Katherine Aeby and Randall Hawks.